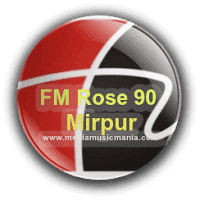 FM Radio Station Rose 90 Mirpur Azad Kashmir. This FM Radio Live is presently working Mirpur Azad Kashmir with best quality service and providing best information and quality programs. The peoples of Kashmir in Urdu, Kashmiri and other languages and daily news updates time to time like other FM Radio Stations. Now I describe more information about this popular FM Radio Station. This FM Radio station is to focus on providing a variety of informational and entertainment education and to broadcast Social Programs, Music Free, Sports News and others in different languages Urdu, Pahari, Kashmiri, Gojri and English also. This FM Radio app is Broadcasting form Mirpur Azad Kashmir and it is very popular such as FM Radio 93 Azad Kashmir and FM 100 Lahore. This FM Radio is broadcasting programs and located in Mirpur City of Azad Kashmir. This FM Radio broadcast transmission and provide best information latest updates to the local area peoples. FM Radio Rose 90 Mirpur Azad Kashmir covering about 75% of the area of Azad Kashmir and also Broadcasting some districts of Punjab. This FM Radio is very popular in all over Pakistan and online with frequency of Rose FM is 90.0 Mhz. This FM Radio transmits its fragrance programs from its stations based in Mirpur and Bhimber. This FM Radio is providing best and excellence service in all over Pakistan 24 hours. This FM Radio Pakistan is producing latest news updates and also source of information for most rural areas of Azad Kashmir.